Nicolay Langfeldt open-jammed from the cutoff for 18,000 before Unibet Poker Ambassador Espen Jorstad three-bet over-jammed for 49,000 from the button. 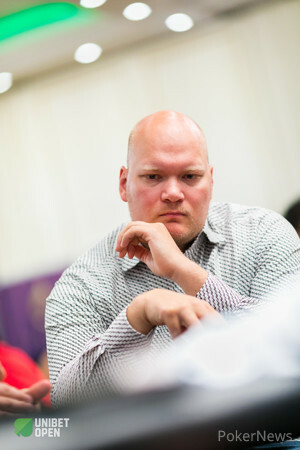 Martin Wendt folded from the small blind as did Elhanen Togerman from the big blind. Jorstad was favored to eliminate his Norwegian countrymate before the flop and he wished him good luck. It turns out Langfeldt did get a little luck as he doubled up after he hit top pair on the :::3d:::As:::Js flop. Neither the :::Kc on the turn nor the :::Kd on the river were of help to Jorstad and Langfeldt’s tournament life was saved with a double-up.